If you are looking for a crisis in world economies, you can take your pick. Greece is only part of a much bigger degenerating global picture. Italy, with $360 billion in debt and a troubling 130% of GDP debt to growth ratio, will generate a more significant economic crisis if they default. Debt and low growth in Portugal and Spain also portend euro zone problems. Closer to home is Puerto Rico’s $73 billion debt and rumblings of bankruptcy. Add Chinese and U.S. debt addictions, and you have a frightening array of worldwide threats to the U.S. dollar and our economy. How do troubles in other nations impact your bottom line? Our banks are major lenders; when they suffer, we suffer. 20% of our exports go to Europe. If they cannot buy, we cannot sell. U.S. global companies, and your retirement plans that own their stocks, suffer. Tax-free Puerto Rican bonds have been popular choices for many funds. Exposure here is quite extensive. There are more complex fallouts and ripples, like inflation or deflation, which impact our dollar and the uncertainty of how the Fed will handle the situation. Offshore vulnerability is not the only issue. Domestic threats also stress our bottom line. Some may say the economy is good and the unemployment rate is down. In actuality, we are simply adjusting to a weaker economy in the U.S. Since 2010, we’ve had an annual growth rate of 2.2%, compared to 3.2% in the 1990’s and 4.2% in the 1950’s. 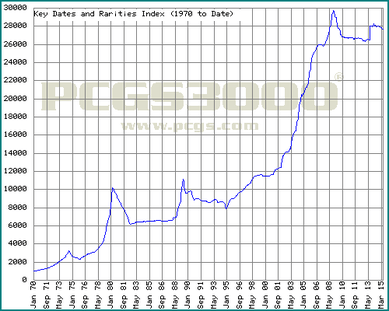 Then, there is the attack by the Chinese yuan on the primacy of the dollar as the world’s reserve currency. The yuan is likely to be approved for the reserve list in October by the International Monetary Fund. World banks, already reeling from euro zone problems, will have less pressure to support the value of the U.S. dollar as they will have the yuan as an alternative. Ignore all this, or profit from it. You do have a choice. The time for denial or letting the issue slide is over. The situation is extremely unhealthy right now and we are witnessing only the tip of the iceberg. It would not take long for your dollars, whether in cash, bonds or any dollar denominated security, to lose buying power which significantly diminishes your lifestyle. What is the best move to make right now to profit from the crisis and protect against harm? You must be out of the fray of the vulnerability caused by market forces with at least a portion of your net worth. It is highly ironic the Chinese word for ‘crisis’ and ‘opportunity’ are the same. An opportunity for profit caused by crisis is exactly what you have before you now. If you answered “yes,” take our suggestion that you hold at least 10% of your investible assets in physical precious metals; gold, silver, platinum and palladium. But, don’t stop there. Add an additional 5% in the form of rare investment-grade coins. With rare coins, you add the profit factor - the opportunity side of the crisis. Rare coins are uncorrelated to any other asset. This means factors that affect your other assets, do not affect rare coins. 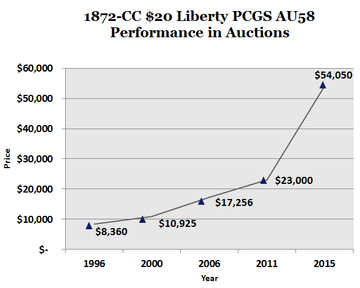 Rare coins make profits, or stay steady, while other assets falter. These coins can add stability to your portfolio, shielding you even further from mainstream markets and even the recent volatility of the precious metals market. This asset class earned a steady average of 11% per year over the past 40 years. In 2008, when almost every security lost half to one third of its value, rare coins saved portfolios and psyches. If you have never studied the potential returns reaped from investing in rare coins, this chart will amaze you. In addition, look at what 11% per year can really mean for your portfolio. Keep in mind that past performance is no guarantee of future results, but this paints an accurate picture of what 11% per year has meant to this asset class, when you have an expert picking out the right coins for your portfolio. Below is an example of a coin hand-picked by our expert for a current client and how it has performed for them. This is a coin that has outperformed the industry average (646% growth in 19 years). But, the point is the Rare Coin Program (RCP) offers non-correlation with major markets, while adding growth potential as well. 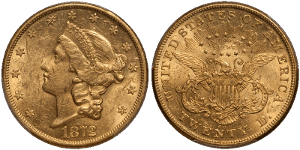 ASI offers pre-1933 rare U.S. gold coins selected by world recognized expert Douglas Winter. Doug is a designer of the rare coin grading system used worldwide, author of a dozen leading books on rare coins, and the go-to dealer for the most astute investors in rare coins, whether they want to buy or sell. Doug hand-picks your portfolio with a lifetime of experience. The coin above is an example of a coin Doug would select for your portfolio. As you can see from the charts above, you do not need a fortune to begin a portfolio of the high quality coins we offer through our Rare Coin Program. Start with $10,000 and build up to 5% of your net worth to acquire the non-correlation and growth potential you need in your portfolio. Click here to see some sample portfolios of coins that have been sold previously in the program. Here is a coin that has passed all of our qualifications to be included in our RCP. It is available to all new RCP clients right now! Call one of our Preferred Client Relations representatives at 877-340-0790 or send us an email. We will discuss your goals, review your precious metals portfolio, and facilitate your rare coin acquisition. Ask us about our buyback program that offers a peace-of-mind exit strategy. This is no time to hesitate. Remember, in every crisis, there is opportunity. Take advantage of today’s strong dollar to add some rare coins to your portfolio today. Uncorrelated, proven performance. Put them both to work for you today… and, Keep What’s Yours!